Developer Vertigo Games is no stranger to bringing unique and addictive experiences to VR. With such hits as Arizona Sunshine and the original Skyworld VR under their belts, they’ve harnessed the immersiveness of virtual reality to create thrilling and polished genre-defining experiences previously underutilized in the VR space. Their latest release, Skyworld: Kingdom Brawl – out now on Viveport and Viveport Infinity, seeks to bring fast-paced one-on-one card battling mayhem to players in a colorful and addictive tabletop experience. We sat down with the team at Vertigo to find out what went into crafting this simple to learn yet deep card combat game we just can’t put down. My name’s Nick and I’m a game designer over at Vertigo Games. We’re a studio that focuses exclusively on VR game development and we’re probably best known for Arizona Sunshine. Our team spans 20+ developers of various disciplines. That includes artists, designers, programmers and even an in-house publishing team who also help out other VR developers! I joined Vertigo about a year ago. Before being put on Skyworld: Kingdom Brawl. I was responsible for designing the Dead Man DLC for Arizona Sunshine and also helped design the Dead Man story mission for the free-roam, multiplayer experience Arizona Sunshine – LB VR Edition that is available for VR arcades. What inspired you and your team to create a fast-paced competitive card battle experience within the universe of Skyworld? 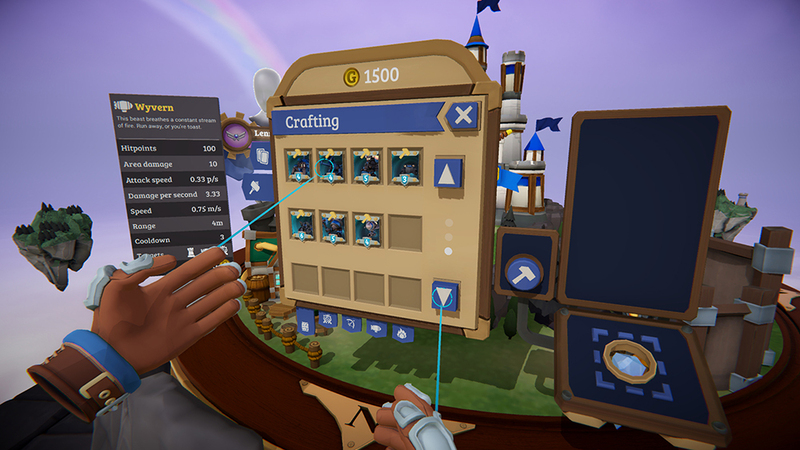 Skyworld: Kingdom Brawl takes the real-time combat element of the original Skyworld VR game as a basis and reimagines it into a standalone, competitive VR card-battler. During the development of the original game we found the real-time part to have a lot of potential, especially to welcome a wider group of players to the Skyworld universe. We spent close 9 months building and balancing this new competitive experience, which allows you to build a persistent card deck from and go head to head with other players in fast-paced matches. Skyworld and Skyworld: Kingdom Brawl are very authentic tabletop experiences that tap into the satisfying feel of strategic card and board gaming. Was bringing that authenticity to VR a big priority for you and the team? Absolutely. It really makes for a different experience to see the entire ‘map’ so to say. 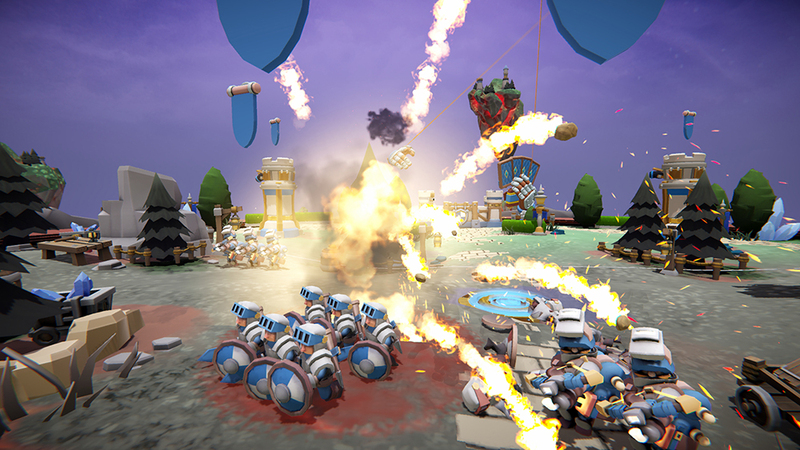 In a more traditional RTS your view would be more confined to an area on the battlefield. While seeing the entire board may seem easier at first, there’s a lot going on! Brawl is a very fast-paced game and you’ll be flinging cards all over the place in no time. 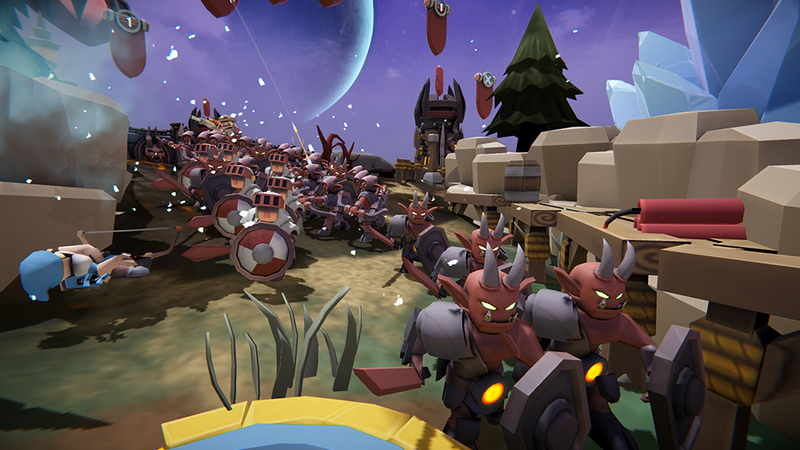 In addition, being in VR, it’s freakin’ sweet seeing your units come to life on the battlefield, watching the battle unfold and trying to turn its tide with your own spells and attacks. What were some of the biggest challenges you encountered when crafting a rich multiplayer experience with a competitive scene in mind? A big goal for us with competitive multiplayer in mind was supporting crossplay between entirely different devices: the HTC Vive Focus and a PC using a Vive or other PC VR headset. All platforms have their own way of managing users, their own peripherals and most importantly, their own hardware specs. So this meant we had to build an entire system which could support all and bring them together. Our programing team deserves some special praise for a brilliant feat. How did the process of creating a fast-paced, 1v1 card battler differ from working on the turn-based strategy of the original Skyworld? With the visual elements and game universe foundation there, it was more a case of figuring out what needed to happen from a design and technical perspective what was needed to elevate the real-time element of the base game into its own, PvP-heavy fast-paced battler. 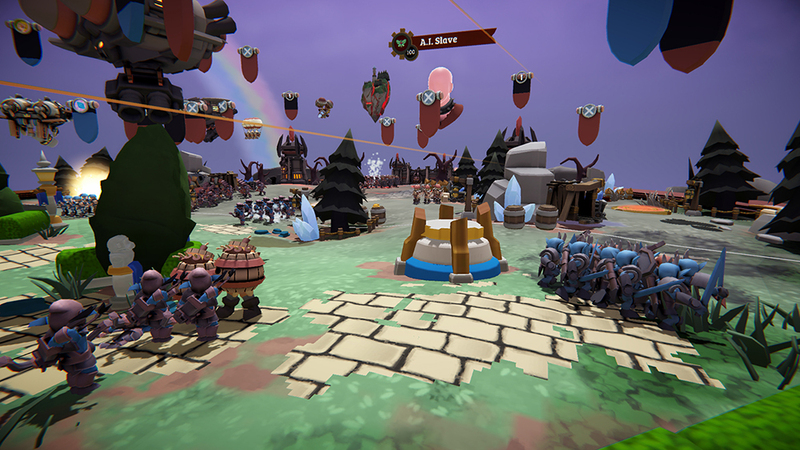 For instance, in Kingdom Brawl we played around with things like the mana regeneration rate as it allowed for more tactical depth: you can easily deploy a small army of different units, each squad countering the weaknesses of others. It’s quite a spectacle to see it all unfold! What has the feedback been like from players who have had hands on time with Kingdom Brawl? Were there any particular reactions that surprised you? The development process took about 9 months, and during this time many on our team have been involved to some degree. On average, it was about 4-5 people working on it throughout. Are there content updates planned that you can share with us to give an idea of where you see the game going competitively speaking? Great to hear! We can’t wait to see what’s to come with this awesome experience. Thanks for your time! Skyworld: Kingdom Brawl is now available on Viveport and as part of your Viveport Infinity subscription. Not a member? Start your free trial today and get ready for fierce 1v1 card battle goodness! Once you’ve quenched your thirst for tabletop gaming victory, head to our forums to talk strategy with the rest of the Viveport Community on our forums!